Congratulations to the new YO! Youth Advisory Council Members. A news alert announcing members will be published soon. The YO! 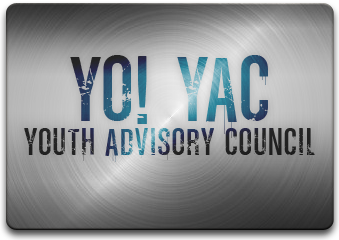 YAC is made up of 7 - 9 youth with disabilities across the state ranging in age from 16 - 28 that are familiar with the YO! program and want to use their leadership skills to make it even better. The YO! YAC provides valuable input on policy issues, community organizing campaigns and program priorities. They meet at least once a quarter by phone or webinar and occasionally in-person. Youth who are interested are encouraged to apply.